Are people afraid of play? I was wondering if you have any (bad) experience in using the word play and playfulness. It’s a good question, however, about the way “play” and “playfulness” can be perceived. I’ve definitely met (and continue to meet) people who think play is not for them and mostly for children. They’ve never considered the potential impact of play or the huge ramifications of playfulness as a way of living and working. Hence, I think it *can* turn some people away, but I also think it depends a lot on the way it’s framed and the context it’s situated in. Since I’ve started talking mostly about playfulness as a goal in itself rather than play as an activity, I think I’ve met more people, who understand and who take it seriously. I mean, most people understand that we probably need to do things differently to navigate this chaotic world, to stay relevant and, most importantly, perhaps, to stay sane. If playfulness is framed as part of the solution to those challenges, it may get harder to ignore (with emphasis on “maybe” 🙂 ). I think you saw my post from the Next Library conference, where I presented these ideas. Maybe you also saw my post about the PhD-application I just recently sent off. In that, I propose the above hypothesis – that playfulness may be linked to “global citizenship” and, in turn, to becoming a person capable of living, navigating and maybe even improving the world. To sum up: if you succeed in framing playfulness as a trait or something central to our success, it’s way, way harder to ignore even though they might think “play” is for children. I’m not afraid of using the words, but I’m aware some people stop listening the second I mention play. I’ve consciously decided that these words are too important to dress them up as something else. I’d rather try to paint a clearer picture of the huge importance of play than disguise play in a more “serious” language. It doesn’t get much more serious than play. Posted on October 9, 2015 October 9, 2015 Categories Language & RhetoricsTags Play, PlayfulnessLeave a comment on Are people afraid of play? I’ve talked about it before, but this time I’ve actually done something about it: I’ve sent an application for a PhD-project at Aarhus University. Now I’ll just have to wait for a couple of months before I get the verdict. If it doesn’t fly the first time, I’ll consider alternatives (and do let me know, if you have suggestions). While I’ve enjoyed the work I’ve been doing over the past 7’ish years immensely, a couple of issues keep reappearing in my mind: I need to focus more, to create stronger continuity in my work and to pursue the impossible questions. The most pressing of these is probably the latter. In most of the projects I’m involved with, including CounterPlay, I’ll have to come up with results/products/answers within relatively short time frames. Some of the big questions I keep asking are: how do people learn to live, play and act in this messy, complex world? How do we learn to take responsibility for the world and to, in the words of Martha Nussbaum, cultivate ” the ability to see full and equal humanity in another person, perhaps one of humanity’s most difficult and fragile achievements”? With this project I want to investigate the relationship between playfulness and global citizenship. I think that global citizenship is something we should all strive for and I believe playfulness is both a catalyst and a part of that. You can stop here, as that’s the core of it. For a slightly more elaborate presentation of the project, keep reading. 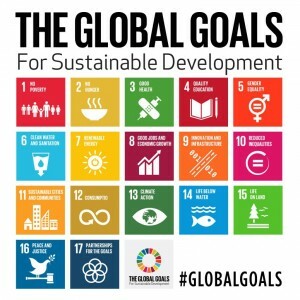 I argue that global citizenship is central if this is to ever become reality, and I’ll look more into the UN Global Education First, other work done by UNESCO, the Global Goals and similar projects and strategies. It’s important to me that the project is tied directly into “real” practices in society, and I’ve got numerous field studies planned. The project is centered around the CounterPlay Festival, which will serve as an arena for field studies and a gateway to organisations in culture, education and private companies (which, as some of you will know, is more or less the domains CounterPlay operates within). Methodologically, I’m veering towards action research and participatory design research, as I’ll be “conducting the research process with those people whose life-world and meaningful actions are under study” (Jarg Bergold & Stefan Thomas). 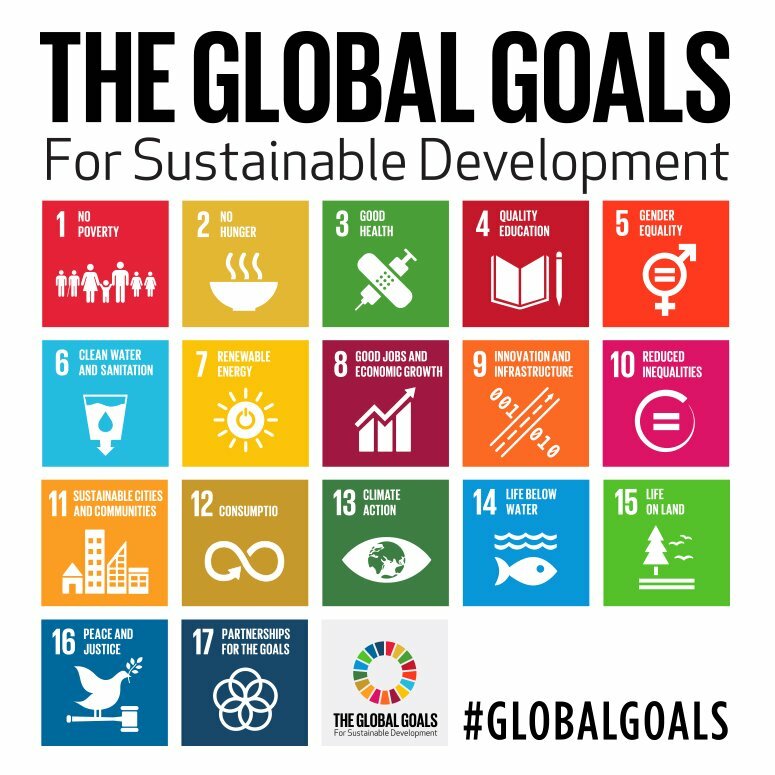 To understand the process of becoming a global citizen, I look to learning theory and I perceive global citizenship as a certain kind of Bildung centered around empowered participation. I see learning as a combination of cognitive, social and embodied practices that is not limited to formal institutions or certain life stages. I use James Paul Gees notion of “affinity spaces” together with Wenger’s “communities of practice” to frame the social contexts I’ll be investigating. Affinity spaces are defined by 11 features, the first stating that “in an affinity space, people relate to each other primarily in terms of common interests, endeavours, goals or practices, not primarily in terms of race, gender, age, disability or social class”. Affinity spaces also seem to describe a space that supports playfulness particularly well (as a side note, Gee has been using the concept to study the social contexts of video games). I’ll also be drawing on old acquaintances like Dewey (Democracy & Education) and Freire (Pedagogy of the Oppressed) as well as more recent research from Biesta (The Beautiful Risk of Education), Learning Across Sites, Peter Jarvis and more. While play is often seen as either A) an autotelic activity (most notably with reference to Huizinga’s “Homo Ludens“) or B) an instrument to achieve something outside of play, I try to frame it differently. Both of the aforementioned are entirely valid positions, but I don’t see them as mutually exclusive, rather just two possibilities among many that you can shift back and forth between. I’ll agree with Brian Sutton-Smith that play is, indeed, ambiguous and Thomas S. Henricks that it’s “paradoxical because it displays one quality and the opposite of that quality at the same time”. This is ok, we don’t need play to mean just one thing. Drawing on a number of brilliant people, I think play is “the underlying, always there, continuum of experience” (Richard Schechner), “an ongoing, continuous undercurrent of life” (Rachel Shields)”a metamotivational state” (Jaakko Steenros), “a way of being in the world” and “a physical, psychological, and emotional attitude” (Miguel Sicart). Accordingly, I’m less interested in games (as objects) and play (as activity) and more in playfulness as a state of mind “filled with tension” (Mortensen et al), where people are “connected to interesting social themes and processes at the very time that they are disconnected from them” (Thomas S. Henricks). To recap: I think these characteristics of play and playfulness can be meaningfully linked to global citizenship. To be a person, who can live and act in the world today, to be a global citizen, you need to be able to engage in these movements, to navigate the chaos and complexity, to challenge existing structures, envisioning other worlds, and to be able to act with people who may or may not be similar to yourself. Furthermore, I agree that ” playfulness also seems to contribute to the good life in various forms” (The virtuousness of adult playfulness). There’s a lot more to it, of course, but I think this is a fairly accurate introduction for now (you can watch the full list of references here and the full application in Danish). Please feel free to ask if there’s anything you want to know, or comment or just get in touch. I don’t know if it will ever become a PhD-project, but I do know that I’ll be working with these things in the future, one way or another, so I’m very keen to talk about it! The first edition of CounterPlay is over, and while there’s definitely lots to change & improve, I’m generally extremely happy about the way it turned out (read more about it here). Now it feels like I’m in a big hole. After #CounterPlay14, I'm now, all of a sudden, completely broken, tired, in doubt, don't know what to do, where to go. A part of this is surely just me being really, really tired. That’s to be expected, as organising the festival was pretty intense. I should take some days off, and with Easter coming up, that’s happening soon. Another part is probably just a completely natural void in the wake of a big project. Even so, there’s this gnawing feeling that I should make a full stop and think about the way I work & live. I’m constantly thinking about these things, but for some reason, now feels like a particularly good time to do so. Days like this, I'm thinking I should create more steady work for myself. I love the unpredictability, but it can be tough. I may just be tired, or I may have a point. I should probably consider creating 1-2 more steady projects for a bit of predictability. There’s a lot of dilemmas in this. On one hand, I'm SO excited about the festival & the many other great things going on. I'm invited into so many wonderful projects! On the other hand, most of it is shorter stuff. They all move me forward, but maybe it's too scattered. I'd like to create more continuity. I’m doing so many things all the time (and constantly tweeting about it), that, to any bystander, it probably seems like I’m doing absolutely fine. In a way, everything IS just perfect. I love the freedom, the chaos, I love the things I do and the people I’m involved with, and I like to think, that I am actually moving perceptions and people. I’m, plain and simple, happy with what I do. I’m not exactly a person who cares much about money or business’y things in general. This is obviously a huge disadvantage, when you’re self-employed. My priority is always to A) do something that’s fun & challenging while B) hopefully making the world just a tiny bit better, more humane and playful. Money is not a part of this equation – except that they are, of course. Ever since I started, 5-6 years ago, I’ve been involved in a broad range of activities. A lot of it has been related to games and digital media in education, but I’ve also been working with “games as culture”, and I’ve been doing a few projects on games & playfulness in companies & organisations. 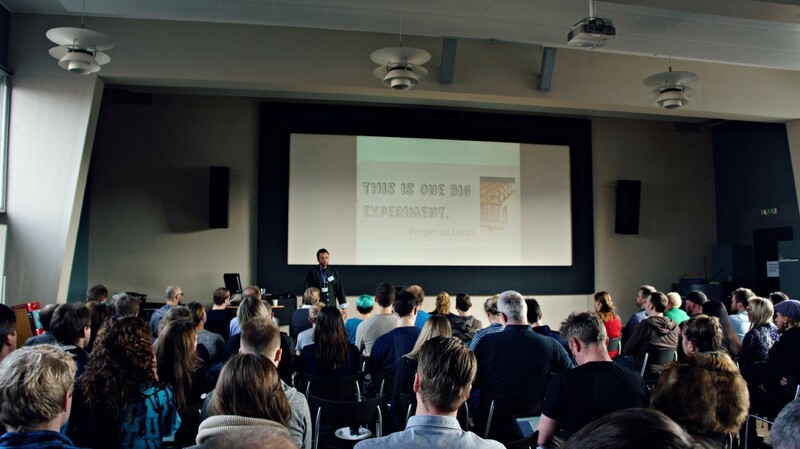 I’ve been doing many consulting jobs, a lot of talks at conferences and seminars, a lot of workshops, courses for teachers, a huge pile of writing and experimental projects. I have been part of creating multiple initiatives & events for knowledge sharing and networking (#skolechat, EdCamp Denmark, Spil i skolen). Oh, and of course CounterPlay, that got me thinking about the importance of meaningful events in bringing people together. All of it has been revolving around changing the perception of when & how playing can be meaningful and valuable. I couldn't see myself in like a regular job, but I'd like to create something with a bit of long-term continuity, stability, y'know. The perfect situation would probably be one, where I have 1-2 steady projects, while still leaving enough time and space to launch new initiatives as I see fit. As with everything I do, I’d love to have conversations about these things. I’ve only been able to be working on so many amazing things because of the people I’ve met over the years, and I’ll only keep moving forward because of people. A cup of coffee, a beer, a phone call, a hangout. I'm basically open to anything, that's about exploring playful approaches to meaningful experiences for people. Posted on April 9, 2014 April 9, 2014 Categories CareerTags Continuity, Games, PlayfulnessLeave a comment on A lack of continuity? Attending conferences aimed at the game industry is always fun, but also usually reminds me, that I probably need to clarify my relation to games. It’s not that I personally mind my eclectic approach, working in several directions at once, it’s just that I rarely know how to convey a clear image of this in the short amount of time conference networking leaves you with (a phenomenon I was never too happy about in the first place). …and then people are already gone, moving on to someone less confusing (and confused). So here’s a humble attempt at describing my dreams with games – in a (relatively (who am I kidding?)) brief post (If nothing else, laying out my position is probably a good exercise for me) (and I will try to use less parentheses).. When I was preparing my Master’s Thesis back at Media Studies, around 2007, I was conflicted. Initially, I was kinda opposed to the idea of games having anything to prove. They are legitimate in and of themselves, damn it! I was and is vehemently opposed to any perception that sees games as nothing but trivial tools to reach goals outside the game, e.g. learning. I've said this multiple times. I'll say it again (& again). Games don't need to support any 'worthy cause'. They ARE a worthy cause. Even so, I moved into the field of games & learning. I started exploring how specific games (in the case of my thesis, “Global Conflicts: Palestine“) could be used in education, and what it means, how it challenges teacher/student relations etc. I didn’t have a clue what to expect, but was quite fascinated with what I found. Students considered “weak” in school participated heavily, and talked eloquently about the complex conflict. I mean…some students (almost) understood suicide bombers, because they talked to the mother of one such. It was a both touching and eyeopening experience, and I knew I wanted to go further down this path. I also believed, that people knew most of this already. As it turned out, most people didn’t, and I figured I had no other option than being self-employed, trying to navigate and mediate between game developers, researchers, educators etc. I thought of “bridging gaps” as one of my primary goals – and I still do. I quickly realized the need to broaden my scope, and early on, I started working with all kinds of “games in education“; learning games, “entertainment” games, games as “learning tools”, analysing games, making games etc. By now, five years in, I remain heavily interested in all aspects of games in education. I am involved in several exciting projects, and I might start spending more time on creating better conditions for developers of “learning games” (or whatever you fancy calling them). I have also encountered and worked with more general challenges facing the use of digital media in education, and I spend much time encouraging conversations across domains & an increased focus on sharing knowledge. More than anything, though, I’m interested in working towards changing the way we think about and practice education. How do we make it much more meaningful for anybody involved? How do we create better opportunities for more people to live rich lives, including being an active part of society? In this regard, games serve as a source of inspiration more than an actual tool. It’s not about the games themselves, it’s about how they can inspire us to think differently about education and learning. Summing up, you probably couldn’t point to an area of “games & learning” that doesn’t interest me (that’s not entirely true, because edutainment-style drill & practice rarely gets me fired up. That’s an exception from the rule). Spending a lot of time and energy on arguing for the inclusion of games in education, I am frequently engaged in broader discussions on the role and perception of games in society. If I have to say it again, I’ll do that. Just for the sake of extreme clarity. I bloody love games. Not because they can help us achieve stuff, that can be tested. First and foremost because games allow us to do interesting things, go interesting places, and in some (albeit rare) cases, allow us to explore what it means to be human. Or sometimes, it’s just about being as stupid and silly as possible (looking at you, Saints Row). At the same time, we need to stop defending games at all costs. We need to stop pretending there’s no possible consequences of playing games. We need to abandon the notion that “it’s just a game” as the only answer to any kind of criticism. Hey, if games have no impact whatsoever, how could they be so fascinating? Let’s talk more about why we love games, how they challenge us intellectually, connect with us on an emotional level, and what it means that games are such a huge part of culture and our lives. @mathiaspoulsen @Navface Need a constructive coalition of devs, critics, academics, and others from wider community to help us think. What I would like more than anything, though, is to contribute to a movement towards a society, where playfulness is an ideal (one ideal, not the ideal. I don’t care much for dichotomies between games/play and other media/activites). Or…oh, you get the picture. A society where “play” is not relegated to the realm of children, and where playing is something we all do – in a multitude of ways, in all kinds of situations. This is not about games per se, but about fostering a culture, where play is not merely tolerated, but embraced and appreciated. 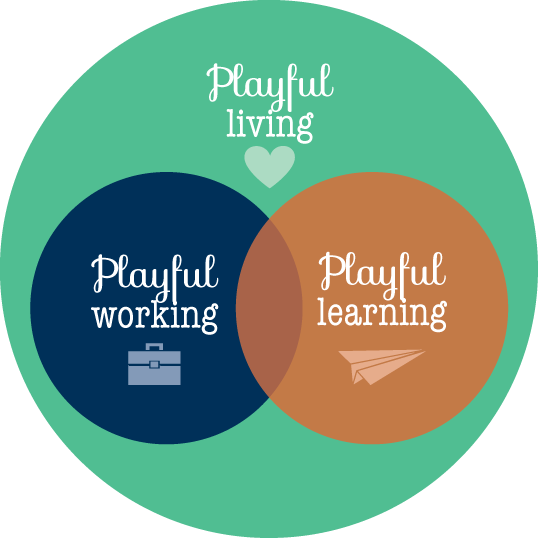 Among many other domains, education would benefit SO much from allowing play to unfold. Just think about the relationship between play and creativity, curiosity, exploration and experimentation. 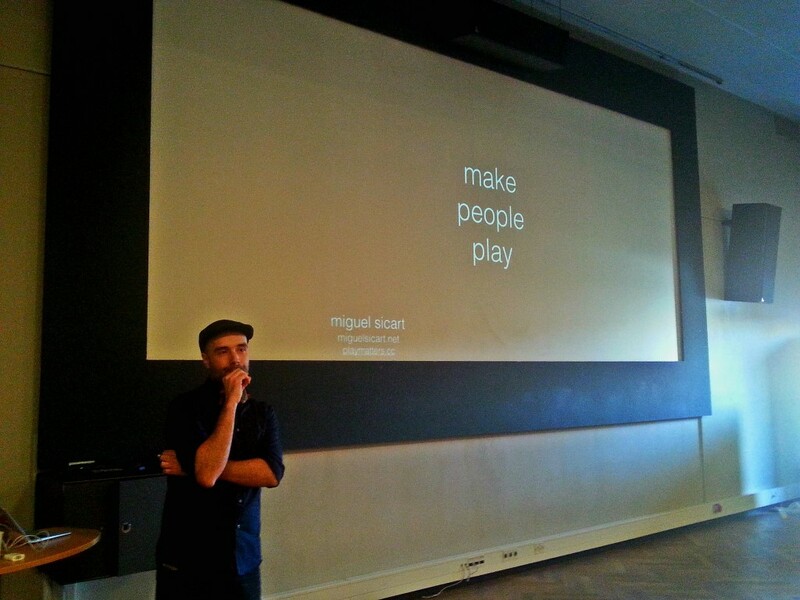 …but it’s really not, first and foremost, about using play as an instrument. It’s about acknowledging the inherent value of a “playful state of mind”. This line of thinking is not new, and many brilliant people are already fighting this important fight (in different, but playful ways). Look towards people like Thomas Vigild, Stine Liv Johansen, Carsten Jessen, Bernard De Koven, Zuraida Buter (whom I recently dubbed “play evangelist”. Actually, all these people qualify for that label). @zoewi @BernieDeKoven Hehe, yeah, just read that. I would like to add "play evangelist"; Is that – evangelist – a bad word now? Those are just some of the people, that inspire me on (more or less) a daily basis. Then there’s all the wonderful game companies, organizations & collectives like the lovely Copenhagen Game Collective. How do we encourage a more playful approach to life? So this is all very broad, you say? Yeah. Well, it’s an adventure, and I keep seeing interesting patterns, overlaps and new connections. It all makes sense to me (from time to time). Any hooks in some of this long tale, that made you want to talk? Get in touch (protip – Twitter works better than anything).